RP1100 has been published in response to a planned national roll out of diesel exhaust fluid (DEF) dispensing infrastructure at travel centers and fleet refueling sites. Beginning with 2010 year-model diesel-powered trucks, Diesel Exhaust Fluid (DEF) will be required in trucks utilizing Selective Catalytic Reduction (SCR) to meet federal emissions standards. SCR is an emissions-reduction technology with the ability to deliver near-zero emission of nitrogen oxide, a smog-causing pollutant and greenhouse gas. 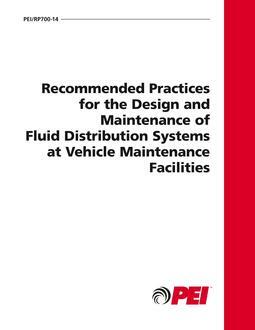 The purpose of the document is to provide recommended practices for the installlation and operation of DEF storage and dispensing equipment that will preserve DEF product quality and prevent releases into the environment. 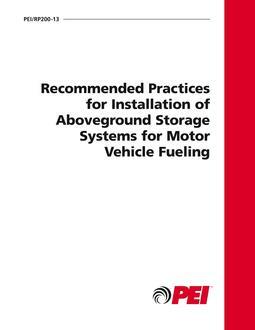 The recommended practices in this dovcument apply to the storage, handling, and dispensing of DEF at motor-fuel-dispensing facilities, travel plazas, service centers, and repair and maintenance garages. it is limited to storage containers that use a pump and/or meter to dispense DEF.